You know it’s an important deal when a minister or an ambassador accepts an invitation to be involved in a ribbon cutting or ground breaking ceremony. Kent’s most recent visit involved Sweden's Ambassador to the UK, Her Excellency Nicola Clase, who officially opened a £6m flagship commercial vehicle service centre for Scania in Maidstone. 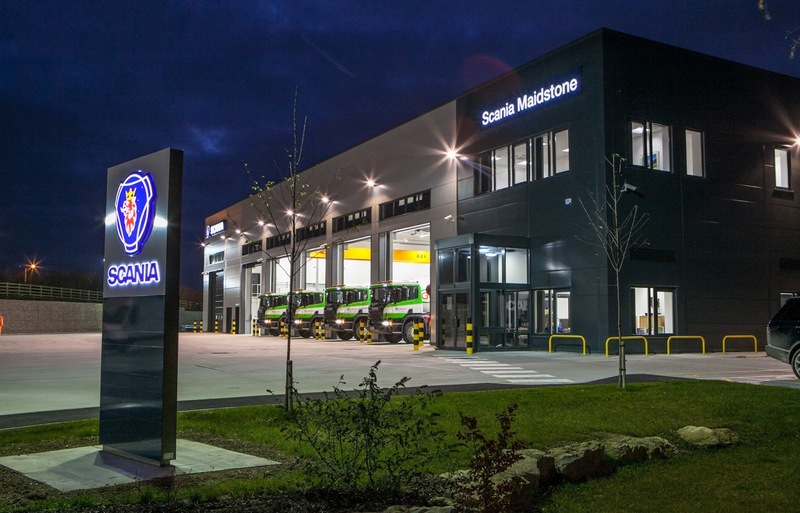 Brooklyn Park, developed by Maidstone-based Gallagher Group and located just off Junction 6 of the M20, is now home to the first of a new generation of purpose-built UK premises created by Scania. It will serve the operators of its trucks, coaches and commercial vehicles. Proof again that motorway junctions are a magnet for commercial development, this opening has helped Maidstone secure 35 jobs and created the prospect of a further 18 over the next year. Brooklyn Park is bounded on all sides by roads, including the M20 to the south, motorway slip road to the north and west, and Chatham Road A229 to the east, meaning Gallagher’s team had to overcome major technical hurdles to unlock its use. Getting services such as water, gas and electricity to the site from the south of the M20 would have involved significant road closures and inevitable traffic congestion caused by digging up the slip road under the M20. Gallagher’s solution was to undertake 90 metres of directional drilling under the motorway, thereby avoiding any closure of the slip road running past the Audi dealership. Because it is located away from residential areas, Scania Maidstone can operate 24-hours-a-day from the 2.5 acre site. The other advantage of having a minster or ambassador present is that it helps bring out the great and good. In this case the Ambassador was joined by Mayor of Maidstone Cllr Daniel Moriarty, representatives from Maidstone Borough Council and Brooklyn Park’s owner, Gallagher Properties, and importantly 100 Kent transport operators and Scania customers.